How to use their iPad video camera, the iMovie app, and a free YouTube account to create and publish “quick edit” videos. Techniques for recording, editing, and publishing higher quality iPad videos. How to successfully facilitate student-created iPad videos. Options for puppet videography with iPads, including actual finger puppets as well as virtual puppets using apps like Puppet Pals. Prepare to have fun and unleash a wealth of creative ideas on your students during and following this session! Please take our Food Survey! 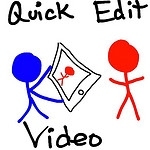 Resources on "Quick Edit Video" page of Mapping Media! With your iPad, record 1 video interview with at 1 person who answers the question BACKWARDS: What are your most important expectations for student learning in your classroom? View others' projects (and yours) on our YouTube channel. With your table group, create a paper slide video project TOGETHER about things you've learned in iPad Media Camp. EACH PERSON should draw/illustrate at least 1 piece of paper. Together, record 1 paper slide video and then upload it to our iPadMediaCamper YouTube channel. (Use YouTube Capture, login credentials will be shared on the classroom projector screen. Check out paper slide videos by other groups! Bonus: Copy the link to your group's YouTube video and put it in a new post on our KidBlog site! If you were in the state legislature or the Secretary of Education, how would you act to improve public education in our state?